I sent my generic networking letter to over 200 recipients at midnight last night and have had a mini-deluge of responses this morning! One of the replies was from an artist/marketer I used to work with, who mentioned that Harcourt School Publishers in Orlando, Florida employs people who work remotely from all over the country. Now that sounds perfect to me right now! I also got a call from the ad agency who begged me (again) to come in today or tomorrow, but I (again) declined. I told them that I can work on a temporary freelance basis beginning this Saturday for a few weeks (yes, it seems they work all hours, all days), and I gave them a very high hourly rate bid, which they didn't even bat an eyelash at! So it looks like I'll likely do that for at least a few weeks -- to earn money to go to Germany before I settle down in a new, permanent position. Or maybe, just maybe, I'll find enough freelance work that I CAN pick and choose when and where I want to work. That would be perfect! But for now I need to concentrate on my meeting with the CEO of the nonprofit tomorrow. I have done some due diligence there, talking to people who have worked there and some who still work there. The jury seems to be divided between "toxic environment" and "wonderful environment." Looks like I'll need to really trust my instinct, because in situations like this that's what always turns out to be the most reliable! So I drove into Seattle today for the 1:30 interview with the ad agency that was hastily set up last night around 7:00, in response to their pleading that I come in "right away" and their promise that I could name my time and they'd clear their schedules and look forward to meeting with me. Turns out the Creative Director had doubled -- if not triple-- booked herself, and that others with whom I was supposed to meet were running around like chickens with their heads cut off, ready to meet with me... and then suddenly NOT ready due the most recent ad-agency-esque crisis. By 3:00 my friend and I had completely caught up on each other's lives (which was almost worth the visit in itself) and I continued to wait. Finally the Creative Director informed me that they'd "need [me] to come back another day, perhaps this Friday afternoon?" That violates my self-imposed decree of always doing work that matters in an environment where my unique contribution matters. I drove home thinking trying not to fume about being begged to come in and then being hussled in and hussled out without ever being interviewed, and trying not to think about the $4.00/gallon commute that was for naught. While I was on the freeway heading home, my cell phone rang. It was my contact at the executive search firm regarding the position I came this close to not applying for, the one with whom I had the pre-interview phone interview last Friday. The one I now really want! Turns out the CEO of the organization wants to meet me about the Director of Program Development position. Am I available this Friday at 1:30? My pre-interview phone interview on Friday went quite well. After a fairly long discussion, I was told that there are nine "very qualified applicants" and that the executive search company will send "only a few" on to the organization itself. My heart sunk, knowing almost beyond a doubt who at least two of those highly qualified applicants are (and they're good!). My hope was resurrected, though, when the interviewers agreed out-loud that I was "at the top of that list." I got an e-mail at 6 PM today from a former co-worker who now works at the Seattle office of an international ad agency, saying that the company wants to hire immediately for a variety of positions, among them Interactive Producer, Interactive Designer, and Project Manager. She asked that anyone interested call her, which I did immediately. It's not education-oriented, not with or for kids, and not nonprofit... but it could be focused on media production and it could represent a chance to be creative again. I have an interview tomorrow at 1:30. I decided to update my hairstyle (and color) and went for a gutsy new look, from a blunt bob to major layering. Elisabeth's high school friend, who is now a stylist, did it (and we took this picture to send to Elisabeth who's on another biz trip). What d'ya think? Since we've lived in this house, five couples/families have moved in next door. Within two years, every single one of the couples have divorced. About two years ago, a very nice (but extremely scarce) couple moved in. He works at Microsoft and she teaches first grade. I had high hopes that they'd be the first couple to defy the haunting legacy of the house. But sadly, on Saturday morning when I took Shasta out I noticed him and a friend loading a bar-b-que and a variety of boxes into a pick-up. I expect the "For Sale" sign to go up any day now. Is there a way to warn couples who might be looking at the house?! Tom spent the weekend building a bridge in the front yard and I spent the weekend shoveling more cedar chips and hauling them to the backyard -- and I'm not finished yet! Next, Tom will design and build the dry creek bed, put up the boulder that will hold the front lamp, and THEN I get my split rail fence! When Boo stayed out all night and worried us all, Bailey decided that fur is fur and cuddled up with Shasta to pass the time until Boo came home (with a mole!!). 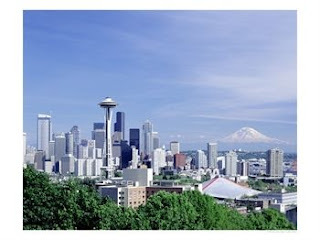 We're expecting temperatures of the mid-to-high 80's tomorrow in Seattle. On days like this, there's no more beautiful city in the world! "Relax, mama! I'm programmed for this sort of mischief!" Chalk up another year to US! Happy 24th Anniversary to chivalrous my Hawaiian Knight! ...they want sentimental stuff. I like this "phase" best, as far as gift-giving goes. Elisabeth now has her own career and makes good money, so it's almost silly for her (unemployed) mommy to buy her things. Instead, I picked up on her latest decorating gig, which is finding meaningful photos, copying them in black and white, and framing and hanging them. So this is what we'll give her this evening when we take her to dinner. The photos are of Elisabeth as a baby and pre-schooler with Tom and me, and of "the girls" about ten and about four years ago. We were gonna take her to dinner last night, but her friends "stole" her and took her wine-tasting for the afternoon at the many wineries that dot our town. By 5 PM, when we talked to her ("Mommy, it's my birthday!! "), it became clear that she wouldn't even remember any birthday dinner with her parents, so I just implored her friends to take good care of her, keep her away from motorized vehicles and get her home (either home, hers or ours) safely. I'm still having a hard time believing that our kids are -- or will soon be -- adults! (Aleks and Kat will turn 18 in November.) I think we're really lucky that they've turned out to be such great kids and they often choose to be with us when they could have easily gone the "my-parents-are-so-lame-get-me-outta-there" route. I've threatened all of them with emotional and bodily harm if they ever choose to move more than an hour's drive away from us, but I know that we actually have no control over where their lives take them, and all we can do is support them. EVEN if they raise our grandchildren far away -- which would, to be honest, break my heart. I always knew the whole "empty nest" thing would be hard for me, even before I had kids. When my brothers and I left home and my parents were on their own and seemed to actually like and welcome the freedom, I knew that time would be harder for me. But then, I've always been more maternal and child-oriented than my own mom, for whom having children was more an "oooops" and an after-thought than a life focus. 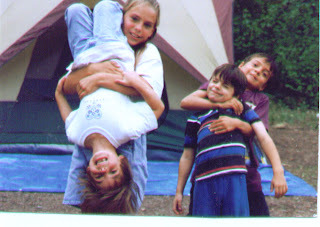 Around this time next year, Peter, Aleks and Kat will all be preparing to fly the coop and head off to college. Peter (and Danelle) will head to Eastern Washington to finish his last two years of college at Washington State (Wazzu) and Aleks and Kat will likely head to the University of Washington (U-Dub), which is right across the bridge, but if I'm a good mom who's able to let go, I'll regard their situation as much as "off to college far away" as I did with Elisabeth at Cal. And then it will be up to Tom and me to decide what to do. Grow together or grow apart... stay in this big family home or move... stagnate or progress... change direction or stay the course. I am scared about that time -- not because the kids will all be gone, as much as because we'll have some re-defining and re-prioritizing to do, which is always hard -- especially when the kids have been such a strong and distinct focus for so long. But that's still more than a year away, so I choose not to think about it (much) now. Unemployment Insurance: Get a Job (But Don't Work)! A few weeks ago, I was contacted by an acquaintance who works for a visual design studio for the medical and education fields. She wanted to know if I was available for a short term (less than 10 hours) consulting contract to give them feedback on a game they're creating for at-rsik youth. The hourly pay was excellent, I had plenty of time, and the subject matter is near and dear to me, so of course I did the work. One of the questions on my weekly unemployment claim form is "did you work in self-employment last week?" For that week, I acknowledged that I did and I declared my income from that job. You'd think they'd just deduct what I made from my normal weekly benefit, but NOOOO. They might as well have chased me down with hand-cuffs! I felt like a criminal when I got the letter tsk-tsk-ing me for working. How dare I work when I'm unemployed?! I had to fill out two five-page surveys, proving that I wasn't actually earning a regular income from self-employment, that I'm still seeking a "real" job, and pretty much promising that I'll never accept hourly contract work again while I'm also collecting unemployment. HUH?! Silly me... I figured that by working when I can I'd extend my benefits. I also assumed -- perhaps erroneously -- that working and earning money was the goal, and that the more I worked, the better it was for all concerned. After hours of filling out stupid forms saying, essentially, Yes, I'm still unemployed, but I'm taking jobs I can, when I can because some job is better than no job, I've realized that the smart thing to do next time I'm confronted with this situation is to either not accept the work, ask them to pay me under the table, or not declare the income. I'm no goody-goody (OK, maybe I actually am, kinda...), but they sure make it close to impossible to supplement unemployment income with an honest day's work! No, really -- she actually did! Elisabeth works for a medical device company. She sells little do-dads like stents, catheters, filters and such. They're made out of stuff like titanium and to the untrained among us, they could just as easily be slipcovers for pencils as ridiculously expensive lifesaving devices. Part of becoming a good salesperson is understanding -- really understanding -- how these devices work and knowing how to implant them during surgery. One of Elisabeth's main responsibilities is to accompany surgeons during procedures specifically so she can consult and guide them regarding the specific device being used. The best way to do that is to actually have completed the procedures herself. So on a regular basis, she trains as a "surgeon" at a research facility in Portland, using heavily sedated pigs as patients. Yup, PIGS. Because apparently the structure of their organs closely resemble the structure of equivalent human organs. Unfortunately, the pigs don't make it through the day. (I know -- I had a problem with this too; I really had to remember that the dying pig could save my father's or husband's or child's life.) They are so heavily sedated and so poked and prodded that at the end of training they are given a lethal injection. So yesterday after having medical devices implanted into it all day, the pig was given the lethal injection and Elisabeth asked if she could hold the heart. And there she stood with a beating heart in her hand. She said the experience was almost surreal and she was completely taken by what was happening. It was a strong beat at first and then slowly it just faded away... and when it stopped completely and had been still for a long moment, Elisabeth squeezed. And it started beating again! It beat for another minute or minute and a half at that point! I guess her squeeze was like a form of CPR. Elisabeth has always been like a sponge with any new experience, skill or piece of knowledge. Even as a toddler, she was up for anything, asked a gazillion questions, and had a very keen (and sometimes exhausting) sense of curiosity. Nothing at all has changed! I have to share an experience that could only have happened in a Web 2.0 world: I was woken up by Aleks and Kat announcing their (quite impressive) SAT scores which they retrieved online bright and early this morning. After sending them off to school, I sat down at my laptop and was greeted by my Monster.com agent informing me of -- believe it or not -- a director position with Kaplan (big daddy of the SAT), which I immediately applied for. Now THAT'S what I call networking! I'd include a photo, but... yeah, that! We've lived in this house for almost 15 years and a good portion of our backyard is still a mystery to me. When they were little, the kids called the forest the "deep dark" and played there often. But I'd call them home from the deck and would rarely, if ever, venture into the forest myself. I was simply too busy. But today I took Shasta into the forest and thought it was so pretty that I went back to get my camera. Unfortunately it was a bit too dark to capture the full essence of the sun streaming into the forest, and unfortunately I moved too quickly and abruptly, trying to coordinate a camera, a leash, a dog and two cats! Remind me to spend more time in the wonderful beauty and solitude of our forest. I think it could be healing and rejuvenating. It's such a shame that I've ignored it all these years! Remember that job I decided to apply for at 4 AM the day the application was due -- the one for the Director of Program Management for the nonprofit organization that focuses on the social and emotional development, safety, and well-being of children through education and advocacy? Well, I got a call from the executive search firm today, telling me that they are forwarding my application to the organization and that they want to conduct a pre-interview interview with me! The job description itself is in the form of a "glossy" 7-page pamphlet and my application was equally as substantial, with long, detailed essays in response to four tough questions, as well as all kinds of additional information. And now, of course, I'm excited about the possibility and wonder why I didn't jump on the application sooner. I think it's because I was still a bit disappointed not to have progressed to the interview stage for another position being recruited by this firm, an Executive Director position with a brand new health-oriented non-profit addressing the childhood obesity epidemic. I really can't let one disappointment dissuade me away from another possible success! 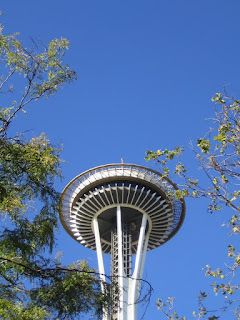 A few weeks ago I spent $270 for an appointment with a career counselor in a downtown Seattle highrise. Although it was helpful, I cancelled the next appointment, just not convinced that the advice I was getting was worth the fee I was paying. I decided to go on my own, with the help of a few workshops at WorkSouce. So last week I attended an "advanced resume" workshop and was impressed with the instructor and the advice he gave. I was so impressed that I asked him whether I could hire him on an hourly basis to help me with my resume. He said sorry, no, since private consultation would be a conflict of interest, but then went right on to tell me that he'd recommend me for a program that only accepts 26 people per year (based, apparently, on "drive and initiative") and essentially provides all the same services as Mr. $270 -- for FREE! I had my first meeting yesterday (it lasted over three hours! ), with Mr. Resume Workshop to work on my resume. But we never got to the resume. Instead, he feels that I wear too many hats right now (producer, educator, project and program manager, content developer, etc.) and that I need to focus more. So my assignment for our meeting tomorrow is to write an autobiography... nothing formal, just a "stream of consciousness," addressing what I wanted to do as a kid, where my aspirations come from, what I loved (and didn't love) about previous positions, etc. I've tried to start the dang thing ten times today and I just go blank. Normally I love to write this sort of stuff, so what's paralyzing me now?! So as of today my worst habit is procrastination! Elisabeth's 23rd birthday is on Saturday and I'm gonna work on making her gift. I'll post photos as soon as she sees it herself so as not to ruin her surprise. Mine is biting my fingernails. I've done it all my life, and even have photos of myself at about two, chomping away at my hands. I did grow nine of my nails (I held out on my thumb!) once in my life, in 1983, for my wedding. A week later, on our honeymoon in Yosemite... CHOMP -- off they all came again! I don't really subscribe to the whole "insecurity" theory, and I haven't subscribed to the "stress" theory -- though I must admit that I'm re-thinking that one. I really don't know why I bite my nails, but I do bite them more when things are in turmoil. Or when I'm not doing something active. I don't watch much TV, but when I do, there go the nails! Elisabeth runs the Bay to Breakers "race" every year in San Francisco. Last year, she and her friends were the Fun Police (with a very FUN version of the Miranda Rights on their t-shirts), "arresting" spectators and throwing them into their "float jail," which came equipped with a dancing pole. This year, the same group decided to be the Baywatch Babes. This is them, with Elisabeth on the lifeguard stand. Ah, to be 23 again!! Seriously. Twenty-three years ago I was a career newbie, working at my first "real job" at a now-defunct division of Disney called WDEMCO -- Walt Disney Educational Media Company. I loved the job, in spite of the torturous hour-long commute from Westchester, near LAX to Glendale, in "the valley." One of my mentors at Disney was an artist and animator named Geppy Vacarro. Geppy was aptly named, as he reminded me of the kindly grandfather in Pinnochio -- sweet, loving and a wonderful craftsman. Geppy, who had been trained by Walt himself, hand-drew each individual slide for the filmstrip (OK, that definitely dates me!) I produced for a multi-media kit (which, in those days meant comic book, poster and filmstrip) called Cheeseburger, This is Your Life, a production about food origins which was to be part of the opening of the Land Pavilion at EPCOT in October, 1982. One of the characters of the production Chelsea Cheese, an animated slice of Swiss cheese with rosy round cheeks and a huge cheesy smile. I was honored -- and a bit befuddled -- when Geppy announced that Chelsea was modeled after me, and I must admit that I've saved all the components that featured Chelsea, more as a memento than as a part of my portfolio! In 1984, when Elisabeth was born, Geppy asked Tom for a photo of me and my new baby. Tom had no idea what Geppy wanted to do with the photo, but obliged, sending him a picture taken at the hospital, just moments before we were to be discharged. I was adoring my new baby and completely awestruck by this gorgeous new creature in our lives. 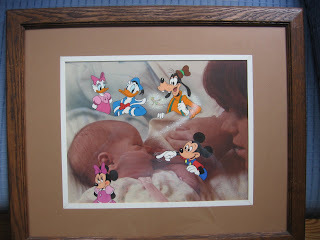 A few weeks after Elisabeth was born, Geppy presented me with this priceless (to us, anyway) piece of art. Drawn in classic Disney cel style, Geppy had surrounded newborn Elisabeth with new friends -- Mickey fanning Elisabeth's sweet lips (and Minnie, perhaps a bit jealous), Goofy pulling back the blanket to adore her, Tinkerbell sprinkling pixie dust on her, and Donald and Daisy, showing off their newborn friend. I still absolutely love this and selfishly dread the day when Elisabeth will take it with her, but look forward to the day when it will don my grandchild's newborn nursery. What a gift Geppy gave us - and I am forever grateful to him for it! I spent the day shoveling woodchips into a huge wheelbarrow and bringing load after load from the driveway (where a tree-cutting company dumped 20 FREE yards of cedar chips) to the back yard, where I distributed it along the edges of the lawn that's finally coming in. It will take days and days to finish the job, and I feel like I've barely made a dent after working all day! Meanwhile, Tom started -- and almost finished -- building the bridge that will cross our dry creek bed, and break up the cobblestone path in the front yard. Peter grew up helping Tom with mechanical, motor and building projects around the house and is now at least as good as Tom at this stuff -- and even gives Tom helpful advice, as he was doing when I took this picture. Those two have always been best friends and peas in a pod. Me: "A thought is not complete until it's expressed. The expression actually furthers the thought and is an important part of the process." Tom: "Expression of a thought is an annoying and difficult addition to the already-completed process. " Is this gender-based? I think that most women are probably more like me and most men are probably more like Tom. I know that both my daughters are more like me, and that Peter is more like (um... exactly like!) Tom. Aleks is a very verbal, social intellectual who likes talking about his philosophies, so he probably crosses into both worlds. What's YOUR comminication philosophy? Is communication a critical part of the thought process or is it an annoying but sometimes necessary addition to it? For the first time in months, I let a day go by without blogging. I simply felt depleted and couldn't even express a half-baked thought. I had plenty of them, but they were along the lines of job fe-ric (that's a cross between fear and panic), motorcycle en-ger (that's a cross between envy and anger), and a strong desire to throw up my hands, turn in any contract in which I obligated myself of anything at all, ever -- tangible or not -- and head out of town (and state... and country). Escapist? Damn right. I spent yesterday at the local Work Source office, attending two workshops. One was a "true colors" workshop, in which we explored our natural personalities, motivations and career styles. Not surprisingly, I am a "blue." That means that I "seek to express the inner me. I value authenticity and honesty above all else. I enjoy close relationships with those I love (the fact that some of them are green makes it difficult, though!) and possess a strong spirituality in my nature. Making a difference in the world is (apparently) easy for me because I cultivate the potential in myself and others. 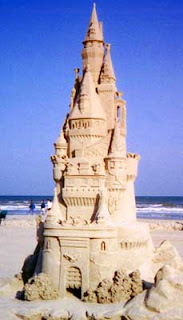 I am sensitive to subtlety and -- with great flair -- create roles in life's drama." Yeah -- pretty spot-on. The problem is that, although people like working for blues because they're empathetic and supportive bosses, "coming down hard on someone" doesn't come easily to us blues, so those who manage US can get frustrated with our more gentle and touchy-feely approach. I found that to be an issue yesterday as I explored the type of work that I'm apparently best at: teaching, social work, nursing, coach, zookeeper (zookeeper?!). Interesting that Technology Teacher and School Media Specialist were on the list (because they deal directly with kids and teaching), but media and content developer weren't... probably because they work in isolation from their end-audience. Every job that I came across that I thought I'd love had a salary level that was nowhere near high enough. The mantra of you have three more kids to put through college didn't leave me all day, and by evening I felt like what I want to do and what I need to do are worlds apart. And now I'm almost late for an "advanced resume" class at the Work Source office. Let's see if I canfinally focus all my varied experience and passions (though I question that today) into one concise statement. That is the next challenge of the day. I was reminiscing today about a dear friend who I haven't seen in a few years, wondering how she's doing. Perhaps in LA, working on a kids' show, I thought, or touring in Europe. My friend, Courtney Campbell* is by no means a household name, but to thousands of children (including my own) she's a magical goddess for her storytelling and singing talents and charming goofiness. The night that she came over for dinner and sang Elisabeth and Peter (ages 5 and 3) to sleep with her glorious lullaby voice still brings tears to my eyes. I don't think of Courtney as famous; I simply think of her as my (extraordinarily talented) friend. But remembering her this evening made me wonder whether I do know any famous people. But as I pondered it, I realized that I have met people in my life whose names might be recognizable to more than just their family and friends. And the more I thought about it, the more names came to mind. And of course, being such a blogger at heart, I thought it would make a fun blogging "meme" (where did that word come from?) to pass on. Who do YOU know? I'll bet you know more "famous" people than you realize! So here are mine. Tag -- you're it! The Romper Room Lady: Yup, around 1961. All I remember is that I was there with my brother, Stephan and a family friend, Luki, who was quite the brat then. Luki pushed the RR Lady to her wits end, Stephan wouldn't talk at all, and I wanted the Baby Ruth bars that were too high for me to reach. Ducky Nash: The voice of Donald Duck. I met him at a voice-over recording session when I worked at Disney. Dirty old letch of a man! Hal Smith: The voice of Winnie the Pooh in the 80's. I also met him at a VO session (for a computer game our team designed, called Winnie the Pooh in the Hundred Acre Wood). Adorable, sweet old sweetheart of a man! "Screamin' Scott Simon": Of the oldies rock group Sha-Na-Na. Did the music for 10 games I designed for Panasonic in the 80's. They never saw the light of day. Funny, funny guy. Dave Scott: Champion Ironman Triathlete. Was a consultant for a game we designed at Disney, encouraging kids to move. It also never saw the light of day, but was apparently ahead of its time. My favorite memory of Scott was his refrigerator when he was in training. It contained about 50 fresh oranges and nothing else! John Naber: Five time Olympic Gold medalist (swimming, Toronto, '76) and the first man who broke my heart. Bill Dorfman, the dentist on Extreme Makover: I met him when we were contestants together on Press Your Luck, a TV game show in the early 80's and he was at UCLA dental school. He won big and I lost big. I got an ice chest; he got a windsurfer. I shared an elevator with Willie Nelson that day, but was too shy to talk to him, so I don't think I can count that. Jeffrey Wigand: The subject of the movie The Insider (played by Russel Crowe), about the tobacco industry. He was a consultant for us at the non-profit health education organization for which I worked. Great guy. The stories he has to tell about the stuff that goes (went?) on in that industry would scare you to pieces! LouAnne Johnson: Author of My Posse Don't Do Homework, on which the movie Dangerous Minds (Michelle Pfeiffer) was based. The influence LouAnne had on her classroom of at-risk high schoolers, and how she turned them around, is absolutely inspiring! I hired LouAnne as a subject matter expert for CHILL, but for the paltry amount we paid her, it's safe to say that she volunteered her time. Erin Gruwell: Author of The Freedom Writers' Diary, which was turned into the movie The Freedom Writers. Another inspiring story. Erin spoke at the symposium that our organization sponsored. I was riveted! Great woman! Harrison Ford: Or as we lovingly call him, "Uncle Harry." Tom's cousin is married to Harrison's brother Terrence. My kids have met Terrence; none of us have met Harrison! I can hardly count this, eh?! Search for: Media, Kids, Education, Jobs... Mindreader! I wish my career had a one or two-word name. I envy people who can define their professional interests and expertise with one or two words: copywriter, engineer, patent attorney, babysitter, Prince of Whales (OK, that's three). When they create a resume, it's pretty straight-forward. When they look for job openings, entering keywords into a search engine is pretty easy. But for me, it all seems to get muddled. Who am I? What do I do? I'm a media producer, but I don't operate a camera or write code for games. I'm an educator, but I have very little teaching or classroom experience. I work with educational content, but I'm not specifically a curriculum specialist or an instructional designer. I'd be as excited about producing a cool educational casual game for kids as I'd be developing a non-profit program helping at- risk youth finding their media voice. Do either of those even exist? If not, I could start such ventures! Except that I need to pay bills right away. Damn bills; they always get in the way! So the keywords I want to use -- education, media, learning, content, kids -- are really too generic and broad, eliciting gazillions of results, most of them completely inappropriate for what I do. I think my strategy is going to have to be to go granular. I'm going to have to identify and categorize my network contacts into focus area and then develop an effective approach and "elevator speech" for each. Then I'll need to contact individuals within those groups, by phone and/or by e-mail, as a first step in securing my place on their radar. Because I agree with the career coach I saw last week: the right job for me is not listed on Monster or Career Builder, or EVEN on Craigslist (which I love). Instead, it's an idea brewing in someone's mind, a problem without a current solution, an inspiring idea that needs a shepard. Those things never make it onto a job board, so I need to go find them and nudge them into existence. How do you put THAT whole idea into a search engine?! Remember this...and this... and this? Those are painful and distant memories today because today in Seattle we have THIS! (80 degrees and 100-mile vistas...) When it's sunny and warm in Seattle there is truly no more beautiful place on the face of the earth. ...I am attempting to write an all-important job seeking letter to my network connections, procrastinating in doing so (it's SO pretty out there! 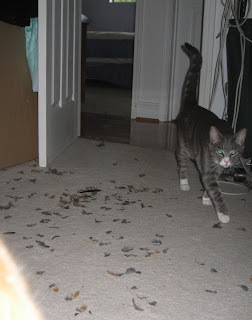 ), and feeling guilty, sulky and less than confident. We sold our boat! Actually, no money has exchanged hands yet (although there was a handshake), as the man who will buy it had to drive back home to Canada last night to take care of logistics on his end. He'll come back today for a final test drive on the water and to (hopefully!) seal the deal with cash -- more cash than I've seen in one place in my life. So selling the boat is a good thing. But Tom's midlife crisis looks like this... And once it's "logical" (in my mind, it will NEVER be logical! ), this is what he wants to buy with some of that cash. I think a trip to Germany is much more LOGICAL. So The Battle of the Midlife Crises is on! You better believe that if another one of these (this photo is of Peter's bike) finds its way to our garage and no ticket to Germany finds its way into my (or our) hands, we'll have one very unhappy camper on our hands. But no mid-life crises are allowed for either of us until I find a job. Oh wait -- that's a damn mid-life crisis of its own! I've decided that I want to be a midwife. So for the briefest of moments this evening, my boys weren't their typical get-that-camera-out-of-my-face selves! As you can imagine, I took full advantage of the situation! Kat and I went shopping this afternoon. (Yes, the Starbuck's cup is a permanent fixture.) She found a cute cowgirl hat and I found --but could find absolutely no true justification to purchase -- an adorable pair of white Mary Janes for a three-year-old for ONE DOLLAR and NINETY-EIGHT CENTS!! Yup -- $1.98! God, I love a good deal! Believe me, I almost bought them. Surely I know someone with a cute little 3-year-old on whom they look adorable. Don't I? Aaaaanyone?! But yeah, Kat said the same thing: "Mooooom, that would just be weeeeeird." So I didn't buy 'em. Long ago, when my life was all babies and toddlers all the time, I counted the days until Mother's Day because it was the one and only day of the year that I felt justified to just leave the life of a perpetual and constant mommy behind. I'd leave early in the morning, usually with a fellow mommy or two, and not come back until bath and bedtime were long over and house was sure to be quiet and peaceful. My friends and I didn't spend a fortune at an extravagant spa or on a shop-till-you-drop day. Instead, we'd go out for breakfast, maybe shop a bit and then we'd revel in having no plans, no demands, no interruptions, no diapers, no bottles, no bickering and no deadlines. It was bliss because every day, all day for the rest of the year was otherwise spent with children who were a complete joy, but also a complete drain. A lot of rejuvenation was to be had on Mother's Day during those years. That, in itself, was almost a pressure. Relax -- quick! This day comes but once a year! This year I would love nothing more than to escape with all four kids instead of from them for Mother's Day! Whereas they used to keep me busy from morning until night with their needs and demands, now their own lives keep them busy from morning to night and I'm lucky if we have a half hour a day together. When they clamored at my feet all day long and regarded my body as their jungle gym, I longed for the freedom I now have, spending long stretches of time with my own thoughts and doing my own work. And now that I have that freedom and that distance, the best way I can think of to spend Mother's Day is with the same feisty brood that I used to escape from on that day. No one can tell you how quickly the years go. Believe me, people have tried to tell me in the past and I never listened. Since I met her, my mother-in-law has been constantly lamenting about her kids growing up (and I, for one, am glad that at least one of them did)! But listen to me, you young, exhausted mommies out there: time really DOES go by in the blink of an eye, and before you know it you'll long for those arms that wrap your neck so tightly that you feel like you can't breathe! Lookie! I won second place in the Mother-Daughter Story Contest! I'm giddy-thrilled and I feel like dancing! Silly, isn't it? Once I'm finished with these damn resumes, I just might dance a jig! For three days now I've been staring at a blank screen, trying to revise my resumes. (I have one that showcases my education and non-profit experience and another that highlights my retail and consumer products experience.) Isn't it odd that, after spending all day, every day reviewing others' resumes for weeks on end a few months ago, I can't seem to even start to revise my own resume? Or maybe that's why I've had this blockage -- because I know how important that first half-page is, and it feels daunting to me. This morning at 6 AM I decided that enough is enough and I got out of bed, made myself a strong cup of coffee and sat down in front of the damn persistent blank screen. And then I began to type and edit. By 8:30 I had completed both resumes and, although they're not ready to send out yet, I finally feel that sense of accomplishment I longed for on Monday night. I decided to emulate the format that my dear friend and former manager, D, used for her resume: profile, career highlights, skills & qualifications, experience, and education. Because I've done quite a bit of freelance as well as employment work, a quick review of my experience presented in the traditional chronological resume format makes it look like I "job hop." Not good. But more and more, I really want to go back to being in business for myself and starting my own consulting firm for youth media development. The other good thing about this format is that I can quickly revise my resume in the profile to highlight what's important for any particular position or to emphasize freelance and contract work. o Hire, manage and mentor internal staff. Provide team leadership and management..
o Hire and manage contractors – artists, writers, producers, directors, musicians, developers, SMEs, etc. Certified Childbirth Educator (ICCE)/Labor Assistant (Doula): Teach Prepared Childbirth, Refresher, and Sibling classes. Provide labor support. 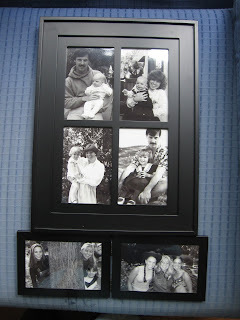 A few weeks ago, I entered a contest on the Mothers Day Central blog. I'd actually forgotten about it until this morning when FedEx delivered a Because I Said So DVD (cute movie; Kat and I saw it last week). I still have no idea whether my story won a cash prize ($100, $200 or $300!) or whether I received the DVD because I was one of the first 15 people to submit a story, but the optimist in me is going to hope that I won something. You can bet that I'll be checking the Mothers Day Central site throughout the day! The story is about Ben and Elisabeth... and Ken Johnson and me. Don't ask me to explain; you'll just have to read it! 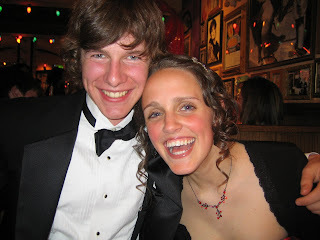 I wish I had a picture of Elisabeth and Ben taken the week I wrote the story, when they were barely 16. 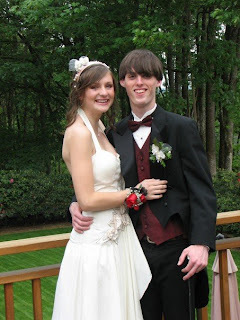 But here's one of them at the Senior Prom a few years later. They're still dear friends -- though no longer "together." And don't tell Elisabeth this, but I wouldn't be surprised if (as Elisabeth told my mom shortly before she died) they eventually get married. That'd be fine with me. This is not only the story of my first kiss, it is the story of my 14-year-olds first kiss-to-be. In 1970, I lived in the San Francisco Bay Area and was in 8th grade. Like many of my girlfriends, I spent most Saturday nights babysitting (for a whopping 50 cents per hour) and pondering boys like Ken Johnson. I liked babysitting for the Hildebrands because they lived across the street from Ken Johnson, and there was a possibility, albeit a small one, that I might actually see Ken in his kitchen window if I looked from precisely the right angle. One evening, as I peeked out the window in hopes of seeing Ken, I was shocked to see him -- walking down the driveway, right toward my gaze as I pulled the curtain from the window. As the doorbell rang, my heart pounded. During the next few hours we sat on the front porch and evaded awkward moments of silence with sporadic moments of chatter. At the end of it all, Ken jutted his face forward, landing a haphazard and very nervous kiss somewhere near my mouth. To me, it felt like Prince Charming's perfect kiss, soft and flawless. After that one encounter, Ken and I rarely talked to each other. For a few years, we'd give each other fleeting and awkward acknowledgements as we passed in the High School. Soon, even that ceased. The years passed. I learned to kiss and practiced willingly. Sixteen years ago, I married the man who was the best kisser of them all -- though not solely for that reason. A few years ago, at my 20-year reunion, I played the part of the typical ex-cheerleader -- socializing with everyone and connecting with no one. Shortly after I arrived back in Seattle, the phone rang. It was a friend from High School. "Ken Johnson was looking for you at the reunion picnic" my friend told me. "He said wanted to say hello to the first girl he ever kissed. I gave him your number." Feeling as nervous as I did when I saw Ken walking down the driveway so many years before, I waited for the phone to ring. It did, and it was Ken. This time the conversation was comfortable and fluid. He told me about his wife, his kids, his job. We talked for a while -- long enough for my daughter to repeatedly walk into the room, look at me quizzically, and shrug her shoulders as if to say, "Who IS that, MOM?" When Ken and I finally did hang up, my annoyed daughter asked, "Who WAS that, MOM?" I told her that it was the first boy who ever kissed me. She was stunned into silence. And then, "Huh? I don't get it. Why is he calling YOU? You're 38 and married!" "Because," I said slowly, "It means that much to these two 38-year-olds." Right then and there my daughter promised that she would never kiss a boy until she knows that he's someone she’d want to hear from when she's 38 -- and when she can pass the same story -- and lesson -- on to her daughter. My daughter has been asked out many times. She has always said no. No one ever passed the "call when I'm 38 test." Until last week. She said YES last week. Ben is the one whose deep, unfamiliar voice she will hear many years from now when the phone rings the day after her 20-year-reunion. Some of life's lessons are taught when you’re least aware that you're the teacher.